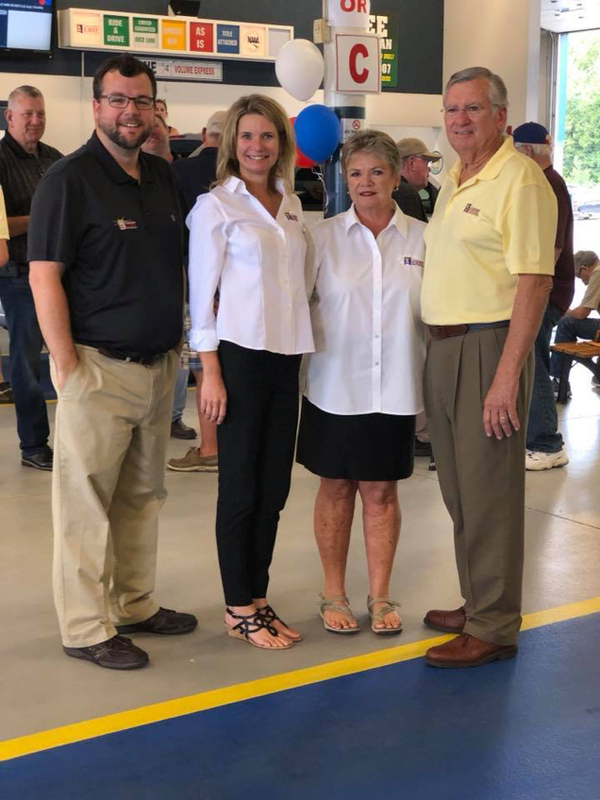 Erie, PA – After 14 years owning and working devotedly at Greater Erie Auto Auction, Todd and Patty Briggs will be retiring later this month from the day-to-day operations. Todd Briggs has been in the automotive industry for 45 years. He started as an independent dealership owner and worked his way to an auction owner and a world class auctioneer. Patty Briggs has been a devoted wife and dedicated partner throughout the years. Taking on the role of General Manager of GEAA will be Chrissy Briggs-Sellstrom. She started her career in the auction business as the registration manager then the Fleet/Lease Manager and quickly moved into the Assistant General Manager. She will be responsible for the day-to-day responsibilities. “On behalf of all the employees at GEAA, we want to thank my parents, Todd and Patty, for their leadership. I am excited to take on the role as GM and know we have a great future ahead of us,” stated Briggs-Sellstrom. Ryan Russell has been named Assistant General Manager. He joined GEAA 5 years ago as a sales representative. Ryan previously worked for Adesa Mercer as a sales representative before joining GEAA. If you would like to send your well-wishes to Todd, Patty or Chrissy Briggs, please email them at cbriggs@greater-erie.com. Greater Erie Auto Auction was started in 2004 when Todd and Patty Briggs decided to build the auction. GEAA offers over 450 units weekly across 5 lanes and operates on more than 35 acres. They offer full reconditioning and mechanical services, in house transportation and DOT offices. GEAA sale is every Tuesday starting at 2:00 pm EST and features inventory from Credit Acceptance Corp, Gateway One Lending, U-Haul, Union Leasing, Northwest Bank, Erie Community FCU, Erie Federal CU, West Herr Auto Group, Shults Auto Group, Orleans Ford and many more.